Having recently come off a major battle and a major win, things couldn’t have gotten any better for ride-hailing company, now No. 1 in Asia, Grab. 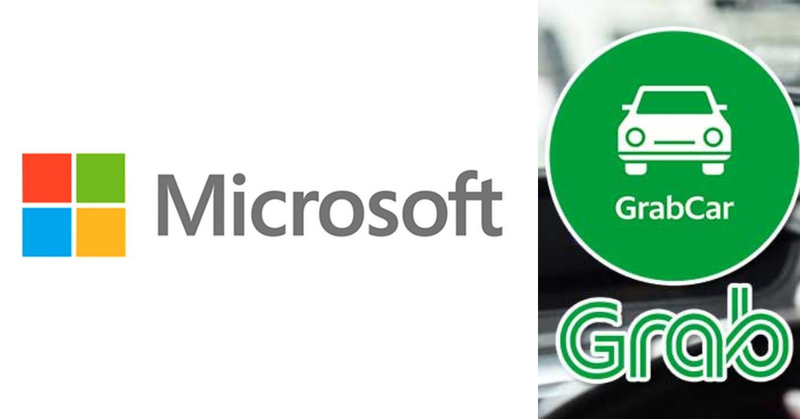 But it looks like Grab’s streak of good luck is not about to run out anytime soon as Microsoft has now decided to join the fray by investing in Grab. In which when you think about it, it makes a lot of sense. Grab was already well on their way to reaching their target goal of securing US$3 billion in investments by year end and since it has already reached US$2 billion, plus with big names such as Toyota Motor Corp and with other big names such as SoftBank Group Corp close to a deal to invest another US$500 million into Grab, Grab has starting expanding its services, from offering services such as food delivery to electronic money transfers, micro-loans and even mobile payments all on top of their classic ride-hailing service. The two companies have then said that they wish to work together to explore mobile facial recognition, image recognition and computer vision technologies to improve the pick-up experience, the companies stated last Tuesday. But from a consumer point of view, what does that mean though? If passengers were to take a photograph of their current location, it will be translated into an actual address for the driver. That’s freaking awesome lah! High off its recent win against Uber, it sure looks as if Grab is starting to gear up to be the No.1 ride-hailing company in all of Southeast Asia, having already taken its services to 235 cities in eight countries already; it really does look as though things are about to heat up in the Southeast Asian region. But will Grab successfully pull it off? As competition is tough in the ride-hailing world and with its Indonesian Rival Go-Jek expanding in the region, it’s going to be hard to tell who will truly prevail in this battle of the services.